Kwadwo is a hardworking young man who operates a printing press and internet cafe at the Atebubu transport station. 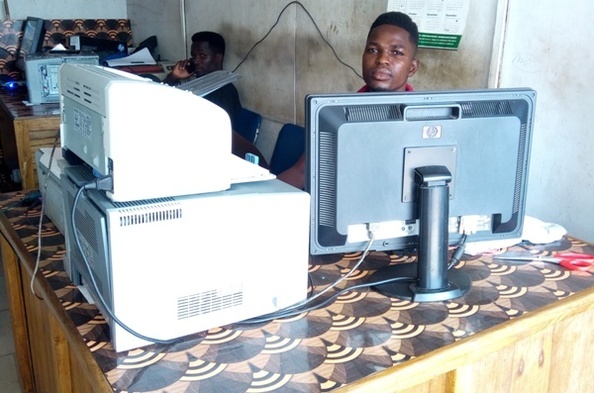 In his rented shop he offers services such as running photocopies for individuals who walk in and also running the internet cafe. For the past two years, he has successfully operated this business and has grown a solid customer base. Kwadwo also helps his parents take care of his younger siblings who are all in school. He hopes to acquire a loan to buy a printer which will help make his work more effective and efficient to serve his growing customers.